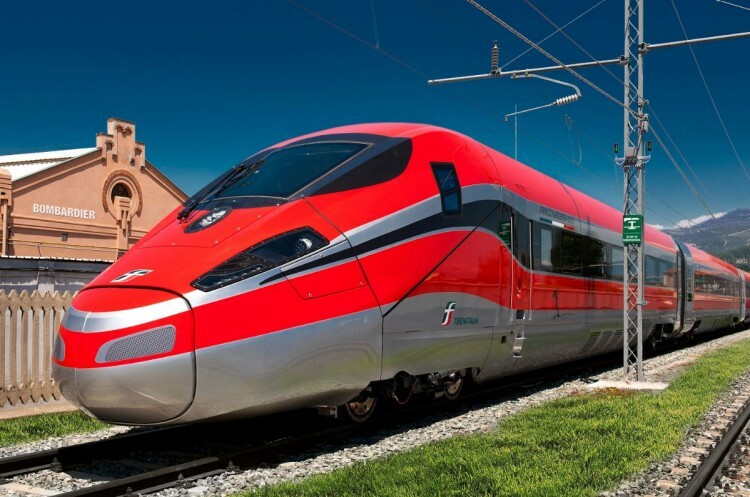 Trenitalia, Italy’s rail transport authority, has awarded a 10-year contract to maintain its fleet of 50 V300ZEFIRO very high speed trains (known in Italy as the Frecciarossa 1000) to a consortium of Bombardier Transportation and the transport engineering firm of AnsaldoBreda. It is one of the most important fleet maintenance contracts awarded in Italy in recent years, Bombardier Transportation’s share of the contract is valued at approximately 154 million euro ($191 million US). Manufactured in partnership with AnsaldoBreda, the Frecciarossa 1000 is the newest member of the BOMBARDIER ZEFIRO family of high-speed trains. With a top commercial speed of up to 360 km/h, the V300ZEFIRO is the fastest train in Europe and its advanced, high acceleration delivers excellent travel times, even on winding routes. It is also fully interoperable, meaning passengers can cross European borders without having to change trains. The V300ZEFIRO can also be adapted for use on networks in many other non-European countries. The Frecciarossa 1000 trains are scheduled to start operations next year.